The exhibition of 5 visions for new Milan, that took place during Design week 2017 at Fondo Corsa of Porta Genova station, brought 35.000 visitors. The projects have been developed by 5 multidisciplinary teams led by: Stefano Boeri Architetti, Cino Zucchi Architetti, EMBT, Mecanoo and MAD architects. 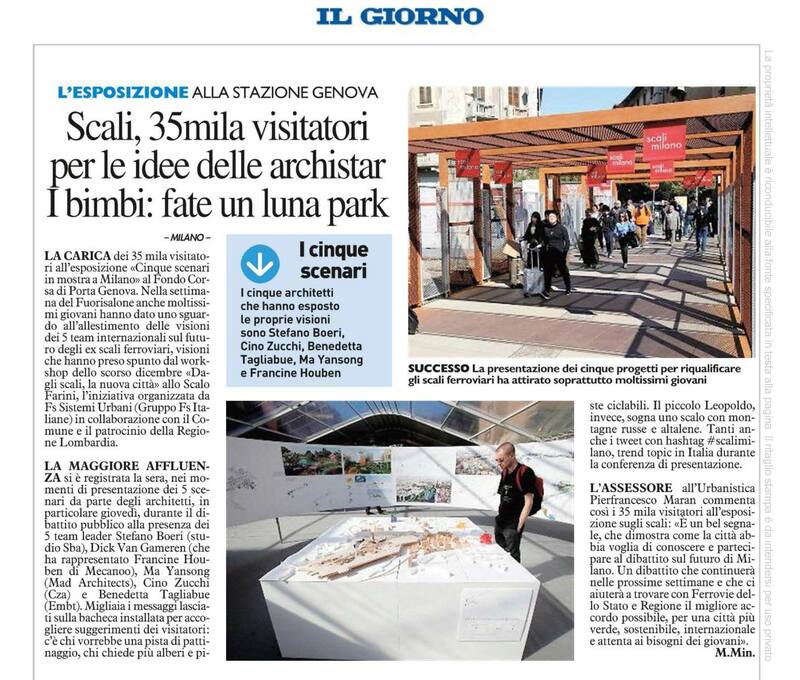 The councilor on Urban development of the city of Milan Pierfrancesco Maran commented the surprising interest of the citizens on the exhibition: “It is a good sign, which shows that the city wants to discover and to take part to the discussion on the future of Milan. A discussion that will continue in the next weeks and will help us to come to the best agreement with the State Railways for the city which will be greener, more sustainable, international and attentive to the needs of the young people”.